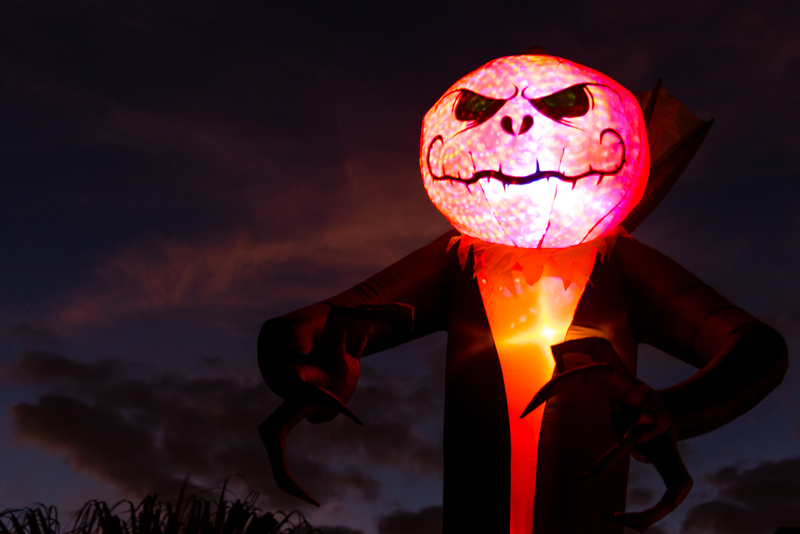 If you haven't heard, the festivities on Sherwood Avenue in Satellite Beach have exploded in the last couple years. It has gotten to the point where they are actually blocking off the road and have a police presence, both of which are fantastic for ensuring everyone can enjoy the evening safely with their little ones. St retching from as far west as Pineapple Street and to the east all the way into the cul-de-sac. 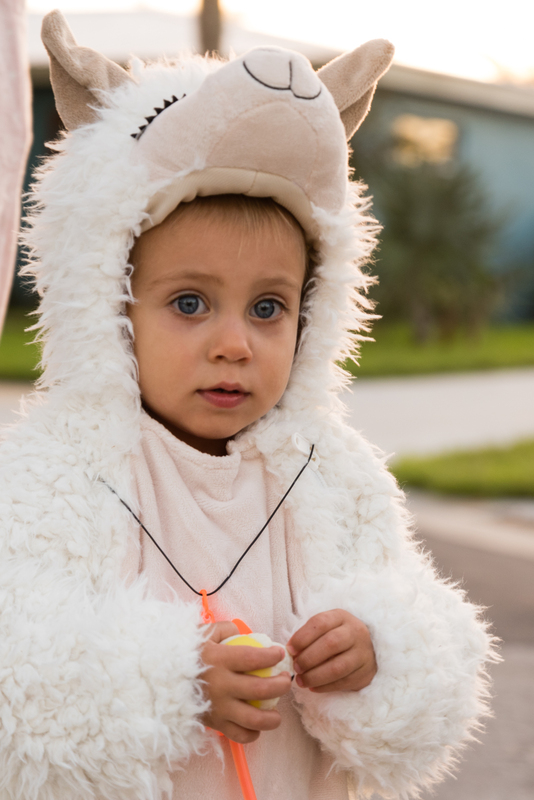 This year was our first year attending the halloween extravaganza on Sherwood Avenue and there were at least 1000 others who decided to do the same. 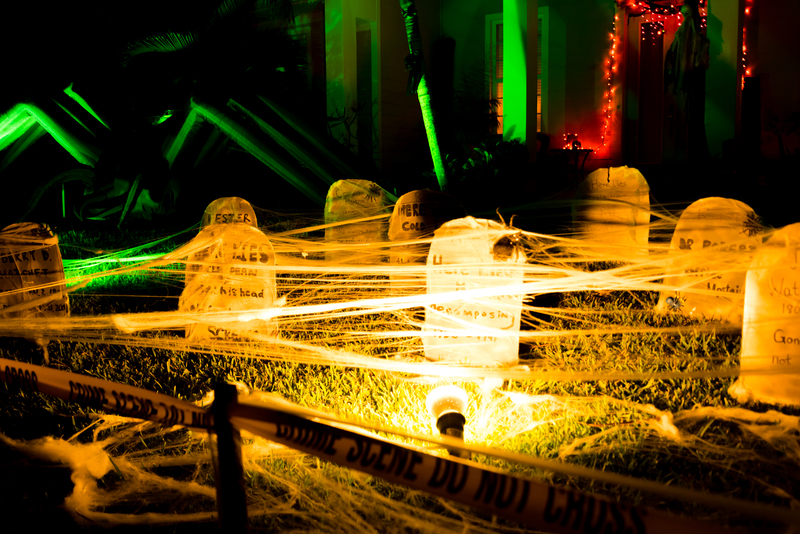 Just about every homeowner on the street is involved with involvement ranging from giving out candy to garage dance parties to live spooky synthesizer sounds in the front yard (kudos to the synth guy!). Decorations were everywhere and the costumes were handmade, store-bought, political, traditional or some combination of any or all of these. You might think what if my little one needs to use the bathroom... well, they've got port-o-potties too! Phew! What a "relief"! 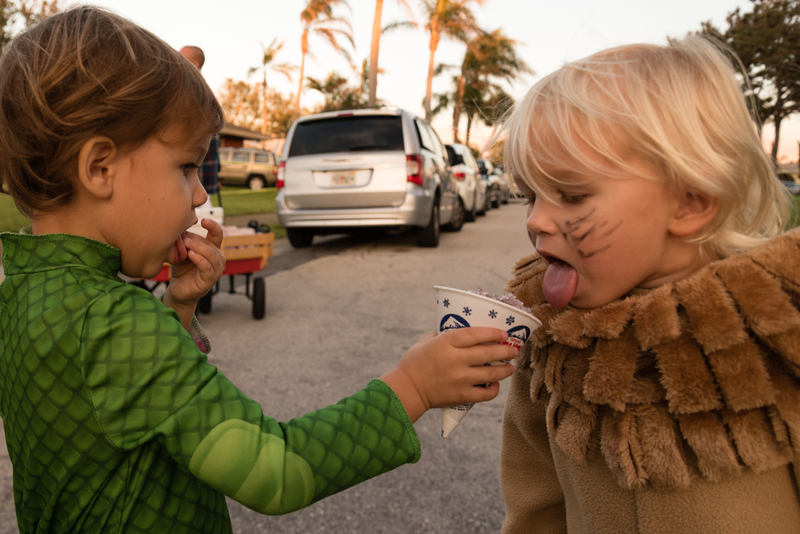 Hungry for popcorn, snow-cones or cotton candy? My best find was the husband and wife duo offering bottles of water at the end of the evening. You can find all of this and more along Sherwood Avenue hosted by the friendly neighbors in Satellite Beach, FL. 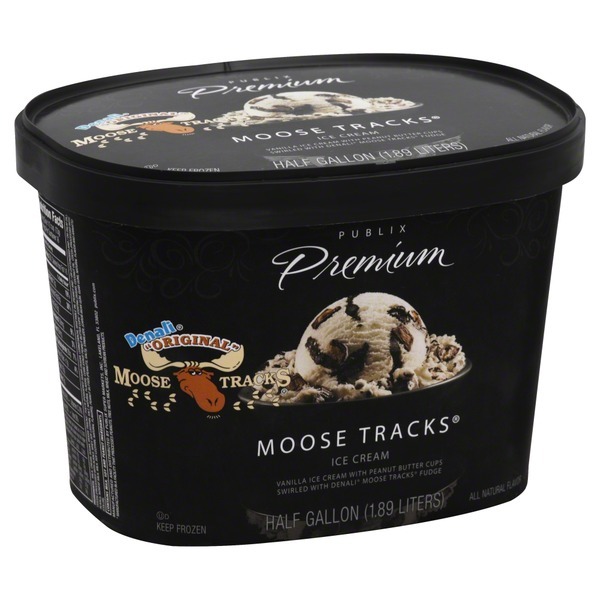 It's a little known fact that some of the generic products you'll find on the shelves of your supermarket are made with superior ingredients with a higher quality process than those of their brand name competitors. How can they do this you might ask? Well, they spend little to no money on advertising, marketing, or packaging, resulting in a massive amount of savings that can be better used in making a better product. When you are looking to sell your home there are a lot of options out there. More recognizable names of course, some are reputable, some offer discounted rates, and some are simply friends or family. This is one of the most important decisions to make during the process of selling, what is for most people, their largest investment - their home. You can go the route of the discount broker and sign a listing agreement laying out a 2% commission structure and feel like you've done well for yourself and saved a bunch of money. But at what cost? The real estate market is different than that of a grocery store. As a a homeowner you are not repeatedly selling a product with which buyers will become familiar over time. This is a one time sale and it demands quality service at every turn. Dale Sorensen Real Estate Inc. provides luxury service to all of real estate buyers, real estate sellers and real estate investors. That's why I'm proud to be one of their sales associates. Whether it's providing an industry leading mobile app for our clients or wrapping the Florida Today every Sunday, we are maximizing exposure for all of our clients. Not every method of marketing works for every buyer or seller. But the more methods or avenues that you have available the more opportunity you are going to reach that specific buyer that uses a given method for their search. Take a look here at our vast array of marketing efforts that span not just the United States, but across the globe. 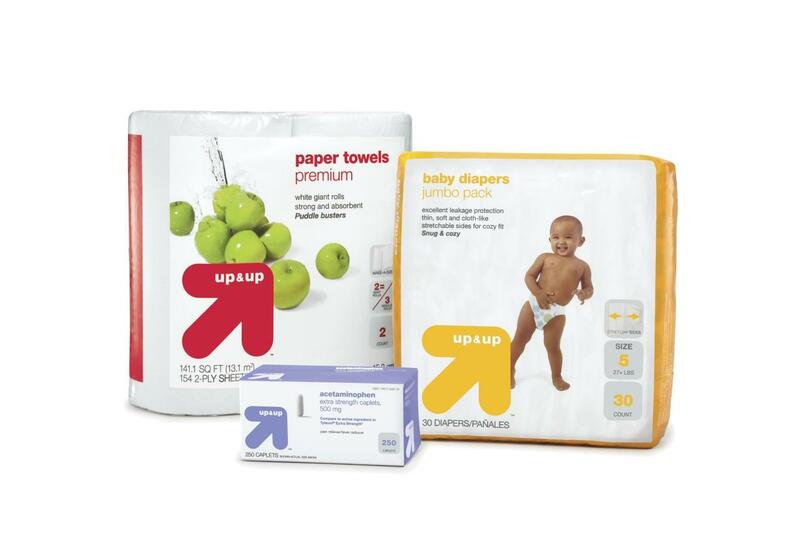 The moral of the story is that when you are shopping for diapers and cereal, go with the generic or discount brand. When it's time to sell your home, buy a new home or buy a piece of commercial real estate, choose Dale Sorensen Real Estate Inc. by choosing Matt Sonberg to represent you in the deal. Pay for the marketing, the quality of service, the knowledge and experience and protect your hard earned money and your most important investment by doing so. SOLD! Congratulations to the Lacy's! I wanted to take a second to thank Claudia Allen Lacy and Steve Lacy for putting their trust in me to handle the sale of their long-time "home", where they raised their daughter and are now moving on to new things. This was a smooth closing and the home is going to another fantastic couple in Laura DiGiovine and Victor DiGiovine. Congratulations all the way around! 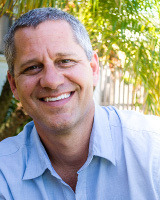 I've been representing Buyers and Sellers in Brevard County for several years now and enjoy every minute of it. Overcoming hurdles such as navigating the probate court process, negotiating roof replacements, tax liens, out of area sales and even tackling tortoises. If you're looking for an experienced, knowledgable and above all else, trustworthy, then pick up the phone and call me! 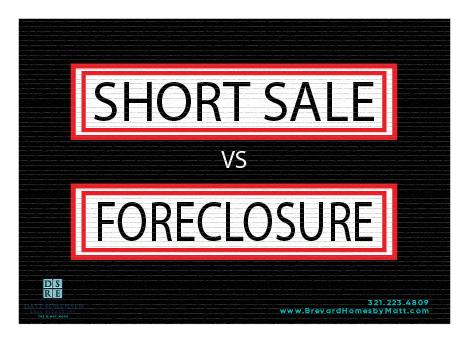 Let's prepare for your next big investment or the sale of your existing investment today! 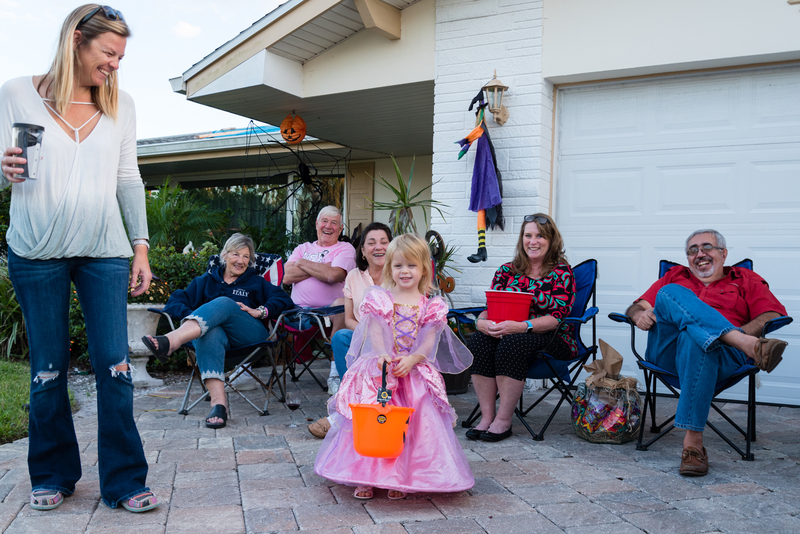 The Laguna Village Community in Melbourne, FL is building some momentum these days. After clearing the permitting phase on several homes there is quite a bit of activity on site. 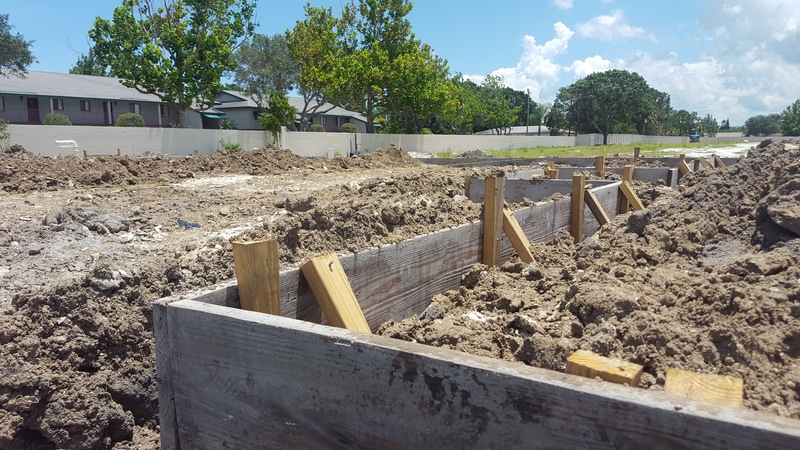 Two new construction homes being built by DiPrima Custom Homes are already underway with the forms being laid out last week and plumbing getting finalized today. 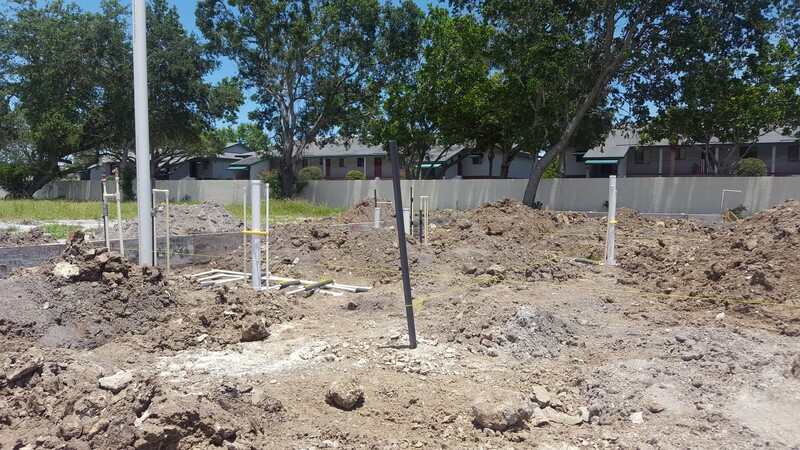 The final go ahead was received from Florida Power and Light in order to supply power to the irrigation equipment which means the landscaping of the entry is just around the corner. The entry way signage is partially complete as the lettering was being installed today as well. In the next week or so the foundations will be in and construction will be full throttle by then. DiPrima Custom Homes and Dale Sorensen Real Estate Inc. have combined forces to deliver this California inspired community here in Melbourne. Both entities pride themselves in providing luxury service and bring with them an outstanding track record. 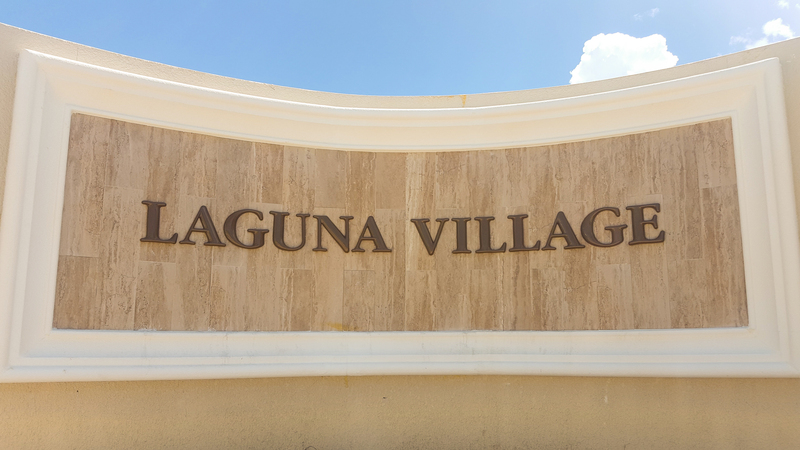 During the month of July The Laguna Village Community is offering a $2500 match on your refundable lot deposit! That means you can lock in your lot for just $2500 and begin building your dream home immediately! We've already sold just about 10% of the community and prices will never be lower than they are today. That means you have a chance to get in at the bottom floor with the most competitive prices and will be securing your best opportunity for aggressive appreciation. Brevard Rocks! But in a way you might not have imagined. There is a movement going on across the county inspiring joy and happiness by painting personal messages on rocks and hiding them in random places for others to find. 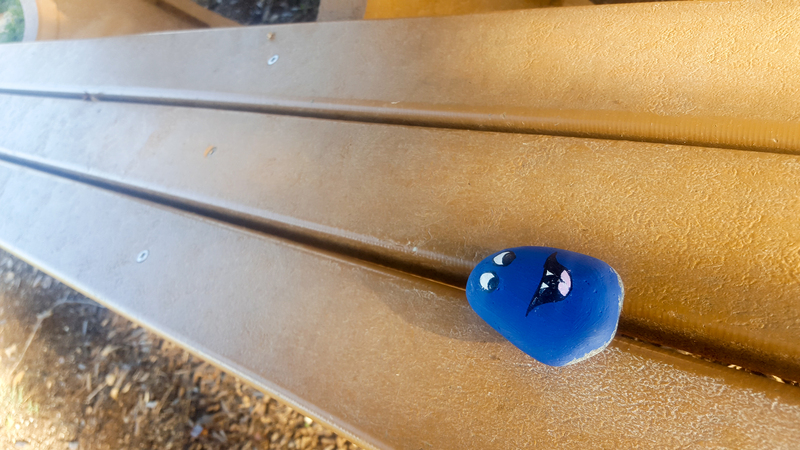 You can get involved too by painting your own rocks and stashing them where you see fit. They do have some rules and/or guidelines though and they're worth checking out here. In March there was an article written about Brevard Rocks and there were only 1200 members on the Facebook Group and today there are over 35 thousand! We found out from a neighbor down the street. We loved the idea and of course went home and broke out the paint and began producing our own special little rocks to leave behind for someone else to find. This is a "pay it forward" movement and just oozes positivity and happiness, so take a few with your kids and be a part of Brevard Rocks! I know we're all wondering what this barge and crane thing is doing just off the beach at Pelican Beach Park. Well, for once, it's for a great reason! 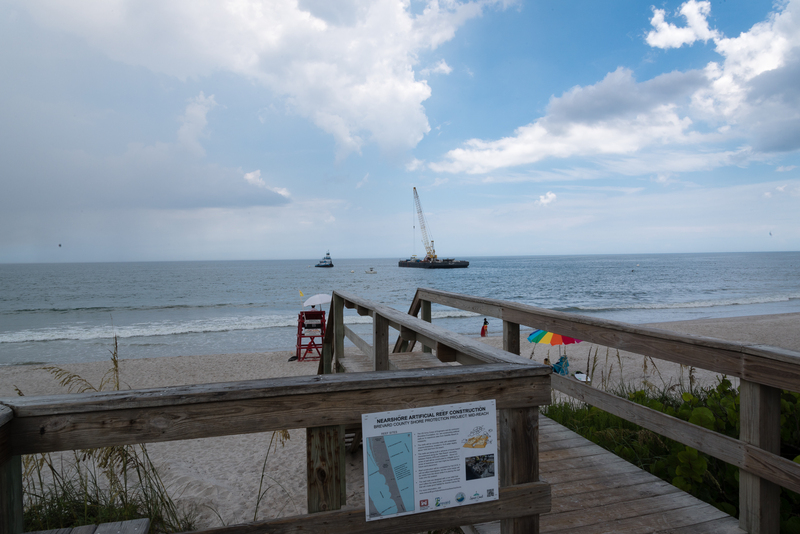 As part of the Beach Management Program there will be several of these projects going on over the summers during 2017 and 2018 when the weather is most favorable. 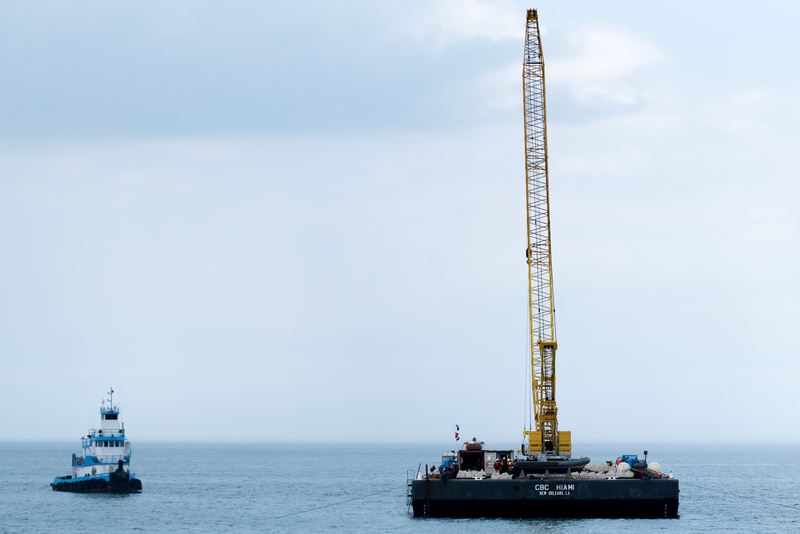 The US Army Corps of Engineers will begin construction of these artificial reefs that will consist of low lying concrete mats covered with a layer of coquina limestone. You might think "What about our surfers? ", but the reefs will be in about 15 feet of water about 1000 feet from the beach, so no worries! In addition they are designed with a low relief that will not have an influence on wave break which we all know is quite important to our favorite "breaks" here in Brevard County. So surf on and don't forget to grab your Da Kine's for lunch after you've smacked your last lip! In all there will be 10 sites constructed measuring roughly 4.8 acres of reef that will help mitigate about 3 acres of coquina rock reef. These reefs are providing a great source of protection for our shoreline as well as delivering a robust habitat for a vast array of marine life. 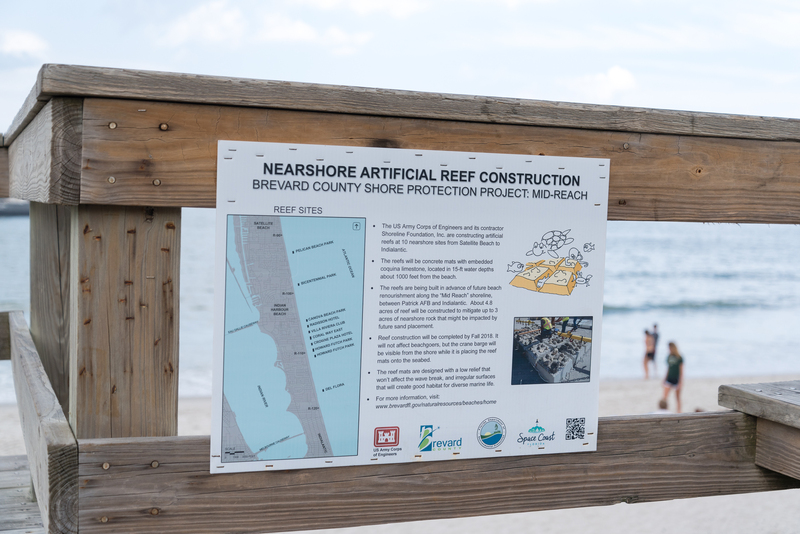 So in summary, Brevard County is making strides to maintain the quality of our beaches! The big barge with the crane on it is no longer a mystery and you can rest easy tonight knowing that better days are yet to come. 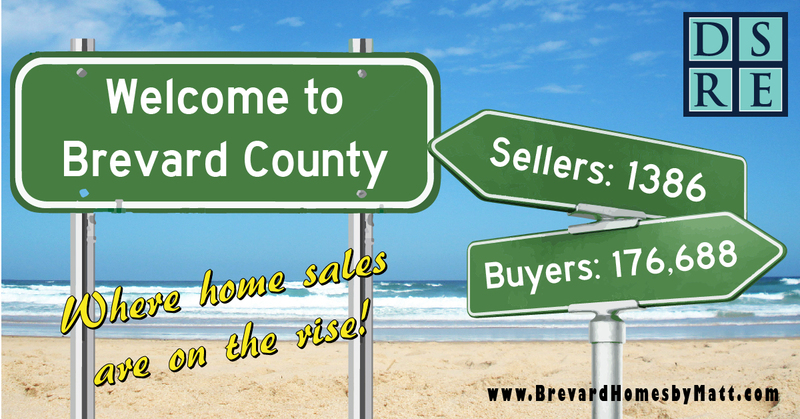 The Brevard County market was impressive in the current week's report, as the quantity of home sales climbed 5.4%, pushing the total to 1,151 homes sold in the course of the most recent 30 days. A wider view reveals close-by St. Lucie County had 531 deals in a similar time frame, the highest total of all surrounding areas. The middle deals value rose to $195,000, up from a week ago's $189,950. 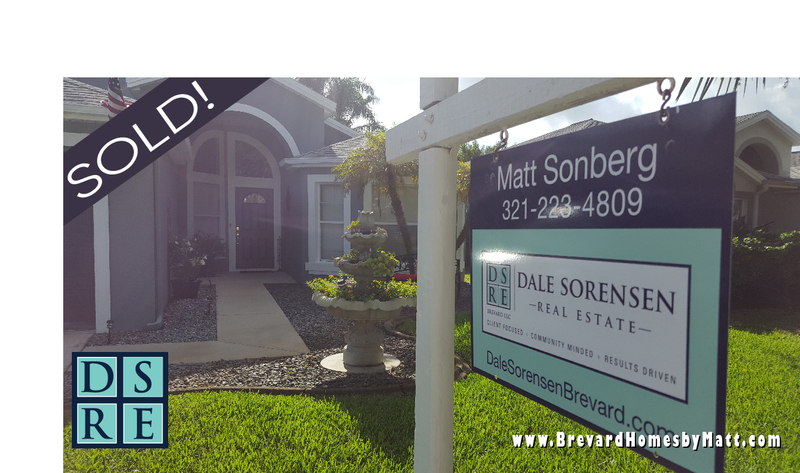 With just three months of inventory and increasing sales, Brevard County is 100% a seller's market! Obviously we have the space program booming in Brevard. 1.6 million people visited the Space Center Visitor Complex in 2008 which has since changed gears after the Obama administration largely de-funded NASA. Even still the city officials in Brevard got their heads together and developed a plan for the future. It's almost a weekly event to witness a SpaceX rocket delivering another payload to orbit above. Click here for to watch a video of some of the best Brevard County has to offer!